The inaugural class of Malvern College Hong Kong (MCHK) has been praised for their ‘courage’ by founding headmaster Dr Robin Lister. There was plenty of excitement – and a few nerves – when one of Hong Kong’s newest international schools opened its doors for the new school year on 27 August, 2018. The new teaching staff held their orientation two weeks’ prior to the school’s opening to be prepared to welcome founding pupils on opening day. Secondary school pupils arrived the following day and were quickly thrown into a range of activities with both their tutor groups and their school house groups. They participated in activities including a scavenger hunt, an amazing race and various collaboration challenges, all specifically designed to create opportunities to meet friends across different year groups. The school also came together for its first whole school assembly. Held in the “Big School”, Dr Lister’s welcoming speech focused on ‘courage’. He asked the teachers to applaud the courage of each of our pupils for bravely facing the challenge of joining a new school and similarly, pupils applauded the teachers for their courage in choosing to work in a new school. “Joining a new school has taken courage,” Dr Lister said. “Courage to try something new, courage to have new friends and new teachers, courage to challenge yourself – and courage to learn to become a Malvernian. Malvern College Hong Kong welcomed its first cohort of pupils after more than three years of planning. Bringing the ethos of a traditional British boarding to a contemporary day-school setting, MCHK inherits a rich heritage from its parent school, Malvern College UK. Founded in 1865 and renowned for its innovative approach to education, Malvern College UK was one of the first UK schools to adopt the globally accepted IB Diploma programme. 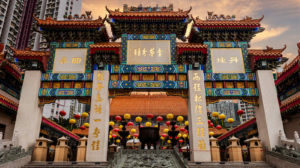 The Hong Kong campus leverages the College’s experience of teaching and offers the same international curriculum as the mother school, with a strong emphasis on science, technology, engineering and mathematics. In addition, pupils learn Mandarin and simplified Chinese, and are nurtured in each of the Malvern qualities, with the aim being to educate “the whole person”. Read more about education in Hong Kong in our Schools section!